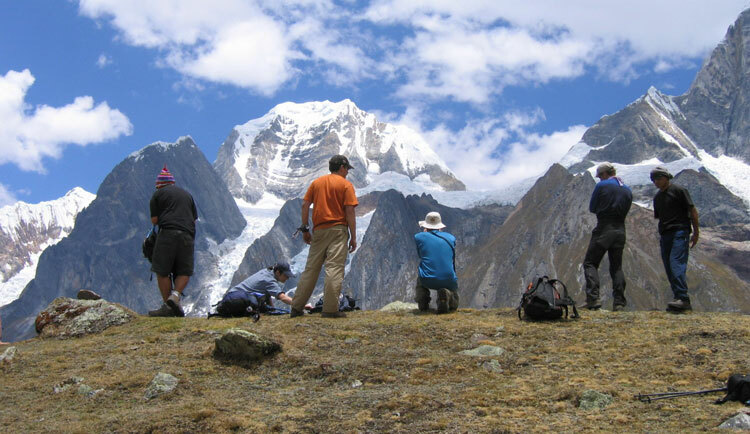 Our Mini Huayhuash trek is a special trek for people who do have not sufficient time to trek the complete circuit of 12 to 15 days or are looking for a slightly less demanding Cordillera Huayhuash hiking option. 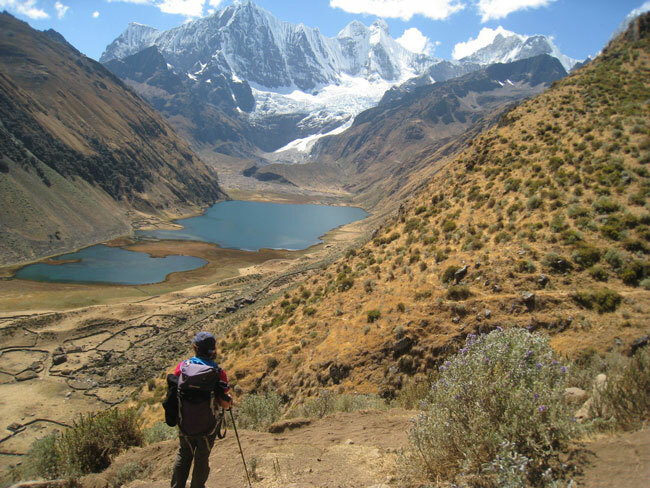 We have designed the trekking route to include the most breathtaking sectors of the Cordillera Huayhuash with campsites by the most beautiful lakes and with impressive views of the largest mountains in the range, including the second highest peak in Peru Yerupaja, the famous Siula Grande and many more. Day 1: Drive 6 hours from Huaraz to Huanuco Pampa 3736m. Afternoon visit to the Inca Ruins of Huanuco Viejo. Day 2: Drive for 3 to 4 hours from Huanuco Viejo to Queropalca village 3800m. Then an easy 3 hour hike through pasture and farmland to Lake Laguna Carhuacocha 4150m where we have our first views of the spectacular Huayhuash mountains. Day 3: We spend an extra day at spectacular Carhuacocha. Hike up to visit the three lakes of Siula Grande. Maybe you can try trout fishing! Day 4: Climb to cross the first Pass Paso de Carhuac 4650m and camp at another lake Laguna Mitucocha 4250m 5 hours. Day 5: Becoming well acclimatised now, we cross another Pass Punta Cacanan 4700m and camp in the grassy camp in Rondoy Valley 4350m. 5 hours. Day 7: An extra day at Laguna Jahuacocha which must be one of the most beautiful sites in the Huayhuash. 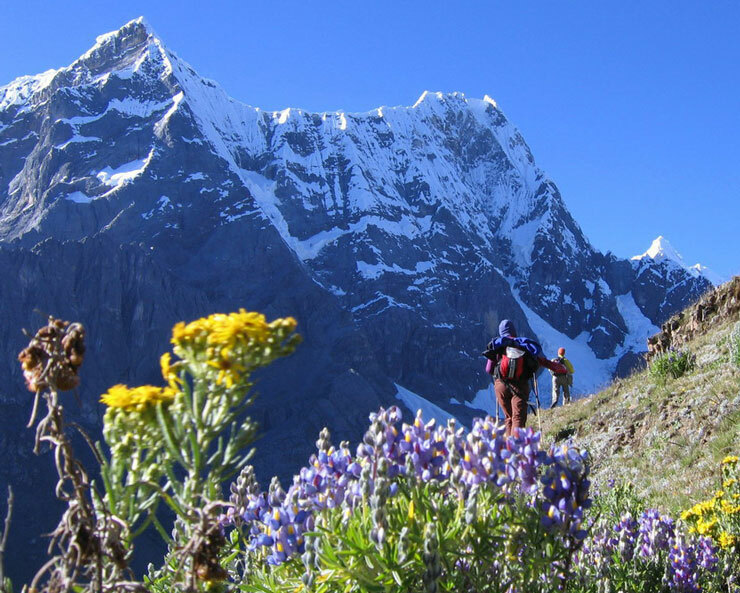 We can take a day hike up the pass Punta Yaucha 4800m for views of the peaks on the other side of the Huayhuash range or hike into the remote Rasac valley, OR take a rest and try trout fishing. Day 8: The final pass Pampa Llamac 4500m and a long descent to Llamac. 5½ hours. Return to Huaraz in our private van.